We’ve got a spring in our step and are beavering away in preparation for the Easter weekend. Placing an order with us is straightforward – just let us know what you want, when you want it, and we’ll do the rest. 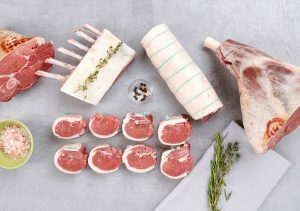 Our genuine Spring Lamb from locally-reared flocks is tender and an absolute classic over the Easter weekend. We also have an array of party solutions, terracotta dish pies and meal ideas which offer good value at the same time as being the high welfare, high quality meat which you expect from us. 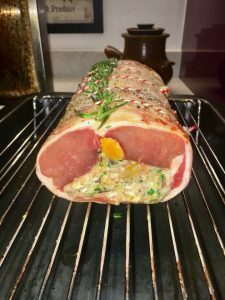 Why not bring something new to your Easter dinner table this year, with our Stuffed Saddle of Lamb or Stuffed Rack of Pork. The lamb is stuffed with our own pork, apple and apricot stuffing and the pork is stuffed with sage and onion. Also available to buy in the shop (not available on the Order Form) will be our Herb Crusted Rack of Lamb. Take a look at our Easter Order Form 2019 and let us know what you want. All our usual produce will be available as normal in store, but we’re happy to take reservations for that too. We’re always happy to help you with any questions, quantity or cooking queries, so feel free to give one of our butchers a call on 01943 609 436 to help figure out what you might need for the bank holiday weekend. 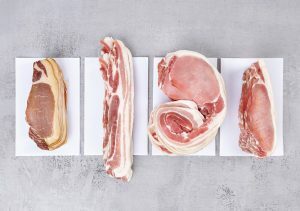 And FINALLY, make the most of Bacon Week between Monday 15th & Saturday 27th April, when we’ll have some lesser-known varieties of bacon available for you to buy. Get set for long lazy breakfasts over the bank holiday weekend with our special offer of any 2 packs of bacon for £6 or buy 4 packs and receive a FREE 300g stick of black pudding. Happy Easter from us all at Lishman’s!